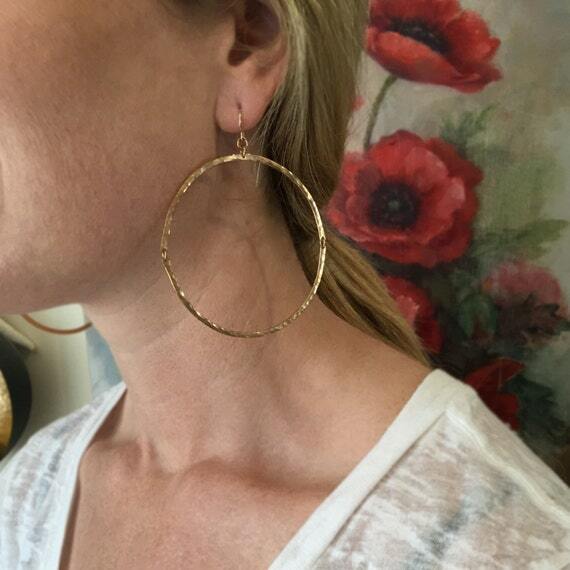 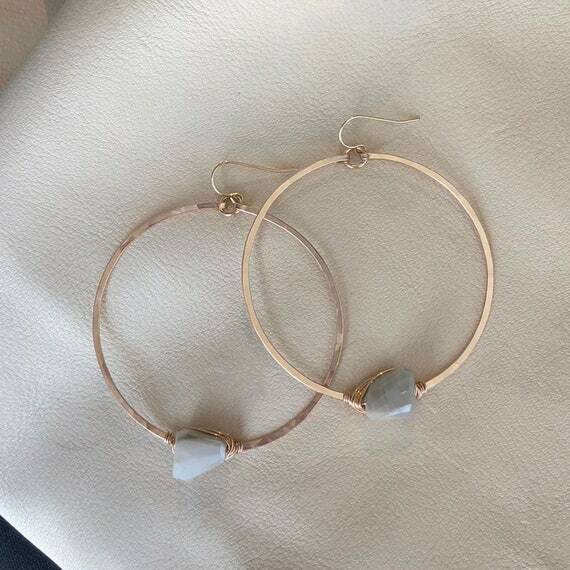 These hoop earrings are a slightly different take on a traditional forward facing hoop. 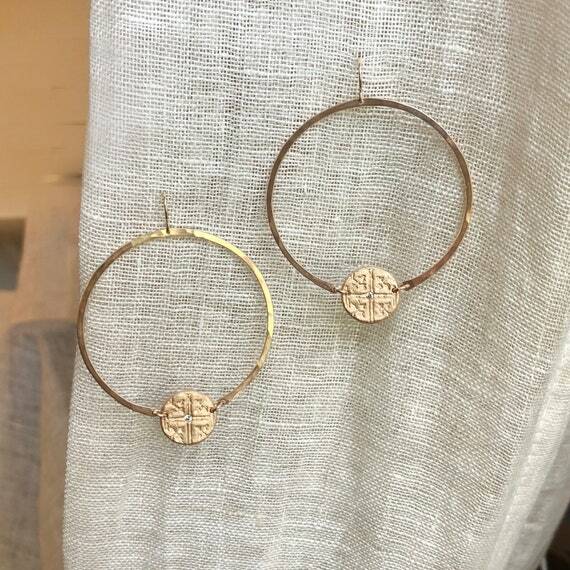 They feature two cubic zirconia studded antique-style coins. 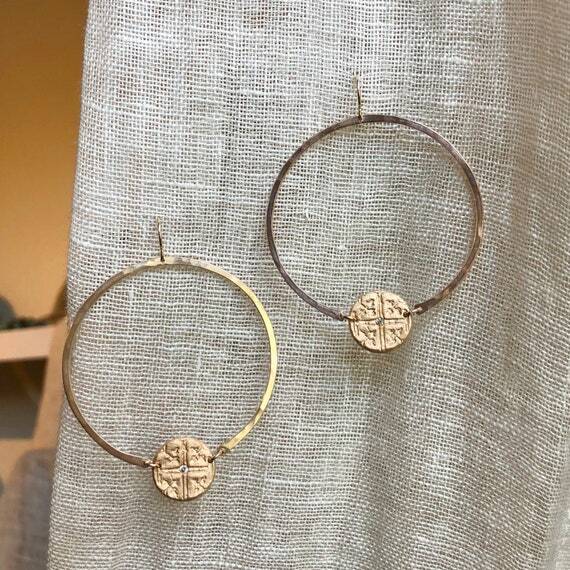 These are very light weight and about 2" in diameter. 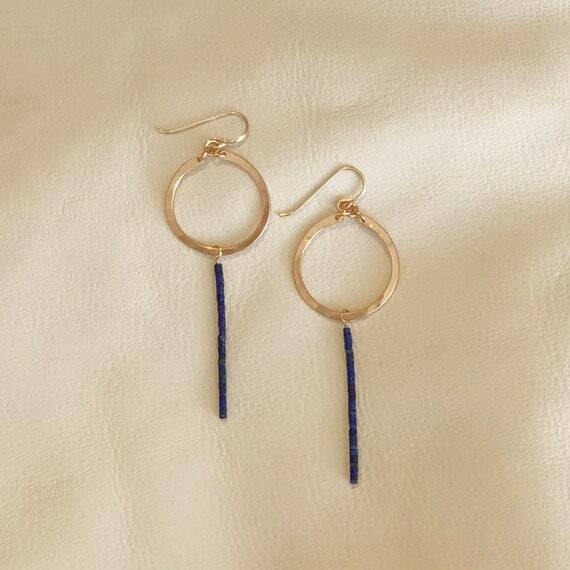 They are made from hammered bronze and include a 14k gold-filled ear wire.